Israeli government spokesman Mark Regev told EUobserver on Thursday (15 November) morning that Prime Minister Benjamin Netanyahu had spoken with foreign relations chief Catherine Ashton by phone the day before. 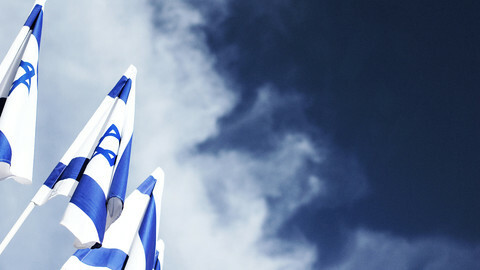 Giving a flavour of what was said, Regev noted: "I would say this to European governments: I don't think a single European country would tolerate what Israel has gone through in recent months. Name one government that would sit idly by and watch its civilian population being targeted by terrorists. I think any European government would respond and some of them would respond more forcefully than Israel has." He highlighted that the US has already voiced backing for its operations. He added that Hamas, the militant group which rules Gaza, is guilty of "war crimes" in aiming rockets at Israeli towns and in using its own civilians as a "human shield" against Israel's "surgical strikes." Israel says the fighting began because Hamas on Monday shot a missile at an Israeli jeep carrying four soldiers. 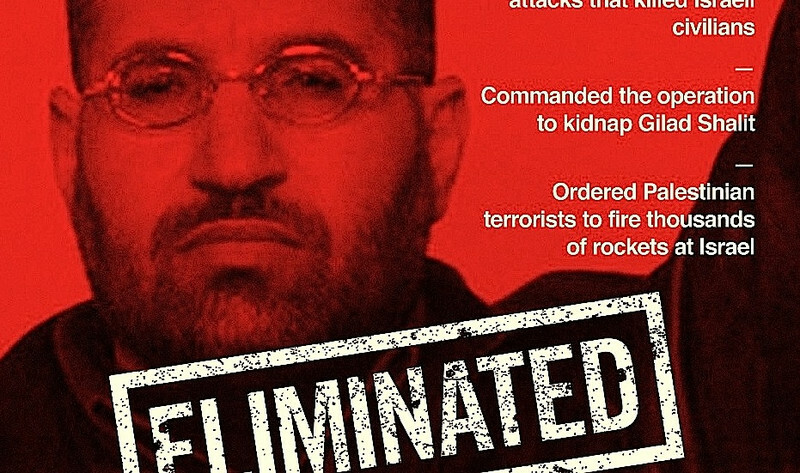 It reacted by assassinating Hamas' military commander - Ahmed Jabari - in an air strike which also killed five civilians. 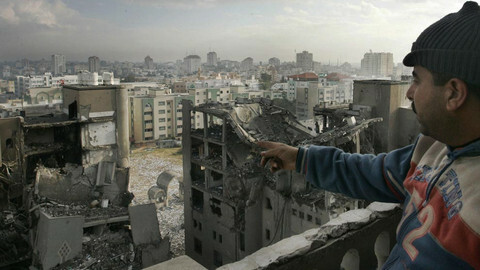 Hamas then began launching hundreds of rockets against Israeli towns within range of Gaza's walls. It fired over 45 missiles since midnight on Thursday alone. One of them killed three Israeli civilians in Kiryat Malakhi, raising expectations of an Israeli ground incursion reminiscent of operation Cast Lead in 2009. For his part, Hamas' deputy foreign minister Ghazi Hamad told this website by phone from Gaza that Hamas originally fired on the Israeli jeep "because it entered our territory. It came within 500 metres of people going about their normal business." "The situation is like a war now," he said. "I think they [European governments] should open their eyes to the situation here in Gaza, to see what is happening on the ground. Israel is using extreme violence against our citizens ... The international community should not give them permission to kill women and children in the streets. They should tell them to respect international law," he noted. 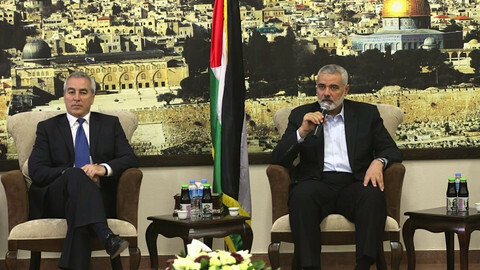 He added that Hamas expects Egypt's recently-installed Islamist government to help in terms of diplomacy. "The Egyptian situation has completely changed. I think the new government will tell Israel to stop killing our people. I don't think it will react with indifference as in the past. Inshallah - I think the whole equation in the region has changed." He also said the escalation suits Netanyahu because he faces upcoming elections - a claim Regev denied. "It will make him [Netanyahu] look more powerful. They are trying to exploit the situation," Hamad noted. "This is not about party politics. If you look at the Israeli political situation there is a consensus on this [Israel's militar conduct] from both the left and the right," Regev said. 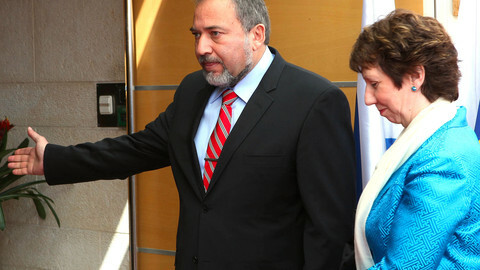 Hamas has no official contacts with the EU because it is designated as a terrorist entity by European countries. But the outbreak of violence took place amid a trip by EU foreign ministers and Ashton to Cairo to hold talks with the Arab League. Ashton's delegation earlier this week unveiled a crisis room built with €1.9 million of EU funds at the league's headquarters in the Egyptian capital. The facility is designed to help Arab states gather intelligence on emerging crises and to share it more easily with crisis rooms in EU capitals and in Ashton's foreign service in Brussels. The EU also gave the green light for over €5 billion of loans and grants to the Egyptian government. European and US leaders in the pre-revolutionary era of former president Hosni Mubarak cultivated close ties with Egypt to make sure it stuck to its peace treaty with Israel. But there are fears that a big Israeli-Palestinian confrontation could see Egypt's new chief, President Mohammed Morsi, end Egyptian-Israeli security co-operation. A joint statement by the EU and Egypt after the Cairo event said the two parties will "work as closest allies" and hold more political-level meetings, including on "regional security." 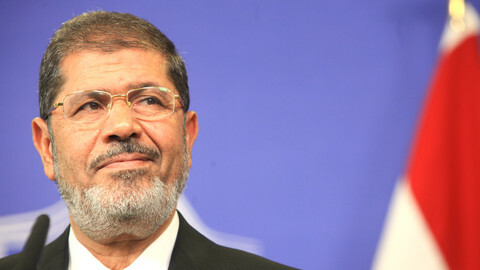 It also said EU governments will help Morsi to get back billions of euros of Mubarak's money frozen in European banks. Meanwhile, Egypt recalled its ambassador to Israel in protest on Gaza. "The wanton aggression against Gaza proves that Israel has yet to realize that Egypt has changed and that the Egyptian people who revolted against oppression will not accept assaulting Gaza," Morsi's Freedom and Justice party said in a statement. 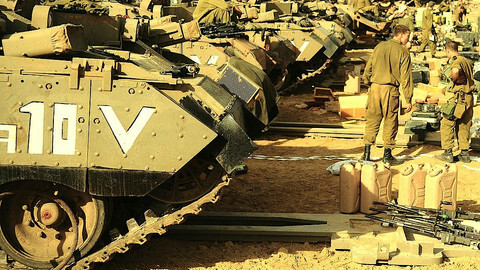 Israel has said that a new EU-sponsored "force" could see the re-opening of Gaza crossing points. But the union's Gaza plan falls short of hard security guarantees. The Palestinians are about to compound their 1947 UN blunder with yet another misstep at the world body. No EU country should be complicit in this mistake.